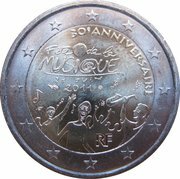 The inner part of the coin shows a cheerful crowd, with a stylised image of a musical instrument and notes floating in the air, denoting the atmosphere of celebration on the Day of Music, which has been celebrated every summer solstice in France since 1981. 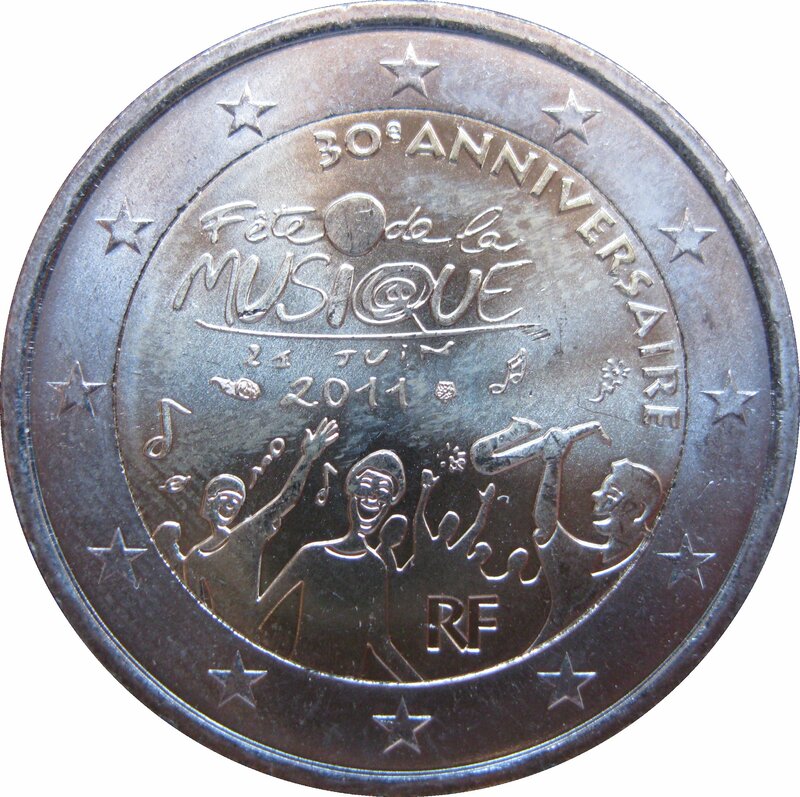 The words "Fête de la MUSIQUE" and the date "21 JUIN 2011" appear at the centre of the drawing. Along the upper edge, towards the right, are the words "30 e ANNIVERSAIRE", while the letters "RF" designate the country of issue at the bottom. 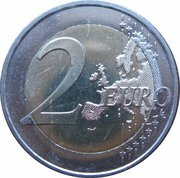 The 12 stars of the European Union are depicted on the coin’s outer ring.